What’s So Good About “Being Good”? I know it’s Adam’s turn to introduce himself today, but I don’t care. I have something to say, and I’m going to say it now, now, now! Last night, when our People put us in our crates, they latched mine nice and tightly, but they didn’t latch Zeph’s all the way. When he turned around on his blanket, the door popped open. You know what I would do if my door popped open? I would spend all night running around the kitchen in big circles. I would try to knock over that delicious smelly thing that people call Trash, and I’d eat as much of it as I could. Then I’d roll in it until I smelled delightful. After that, I’d dance in my water dish the way I love, tracking dirty pawprints all over the kitchen floor. That would be a fun night! That’s what I would do if my door weren’t properly latched. But you know what Zeph did? He just sat there in his crate, turned around twice, and curled up. But he just ignored me and went to sleep. In the morning, when our People came down, they saw that Zeph’s door was open, and they saw that he was still sitting inside. “What a good boy, Zeph!” Adam said. Zeph sat up and wagged his tail, but he STILL DIDN’T GET OUT OF HIS CRATE. In my opinion, there’s a line between “good” and “stupid.” And Zeph crossed that line. Anyway, Adam kept telling Zeph how good he was. By this time, I’d had enough, so I was clawing at my crate to get out. “Out, out, out!” I barked. But Adam turned to me and said, “Sapphie, Shhh!” The nerve of him! Then he went to the cookie jar and got one cookie. Just one. I thought surely it would be for me as an apology for not leaving my crate unlatched, too. But then—Adam did the unthinkable. He walked over the Zeph’s crate—Zeph was still sitting in the crate—and gave Zeph the cookie. A cookie, for barking out loud! Zeph misses the opportunity of a lifetime, and he’s rewarded with a cookie! The injustice of it! Well, I just thought I’d post that little incident so that the world could see how unfair things get here at the Hollinger household. Can you imagine, being rewarded for staying in a crate! Because of the injustice of it, I thought it would be nice if all of my online readers took pity on my situation and sent me a cookie. If each of you just sent me one, I’d have more cookies than I can count. 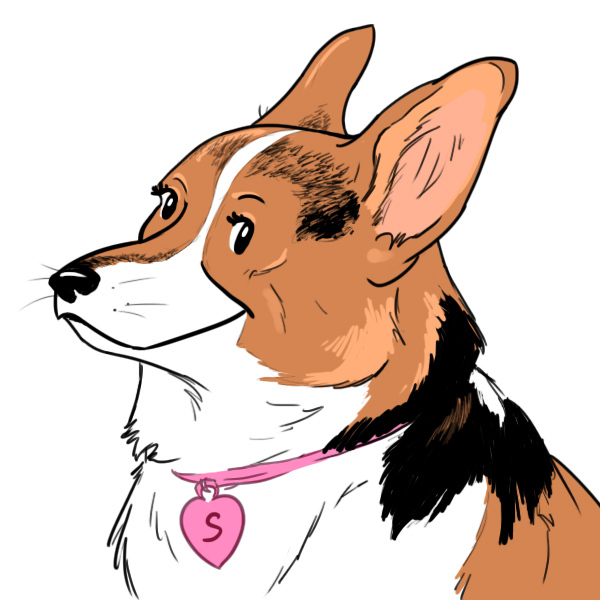 You can just send them to the Hollinger household, care of “Sapphie Corgi.” I’ll make sure they get to the right place. Anyway, I hear Zeph playing with his favorite squeaky toy. And you know what that means—it’s time for me to take it from him. Happy Barking! And send me those cookies! 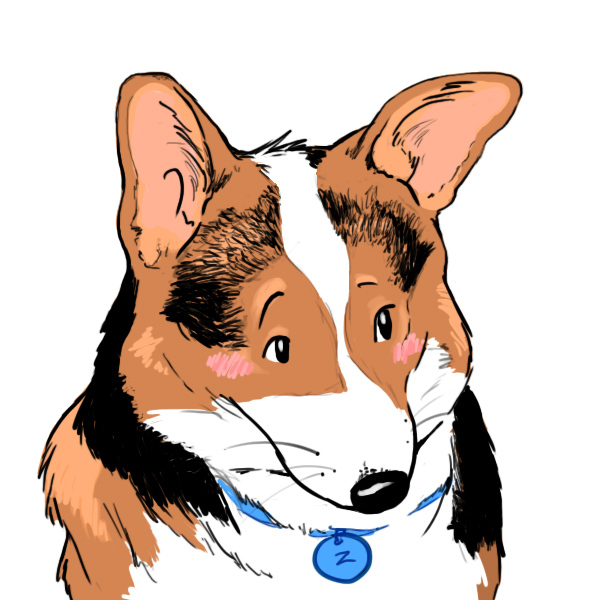 Posted on March 27, 2012, in character, corgi, corgi capers, inspiration, puppy. Bookmark the permalink. 1 Comment. How cute is this! I’m almost tempted to send Sapphie a cookie but u know, it would have to cross the border. Next time maybe, Sapphie, when I’m in Virginia, I’ll bring you TWO cookies and you have to share.